And, bro, I’m feeling some feels. Bro, you know? The finale is here and it is glorious. No matter the delays, no matter the fact that All-New Hawkeye has already began, this book delivers. I started reading comics roughly three years ago. I started listening to Talking Comics some small amount of time after that. 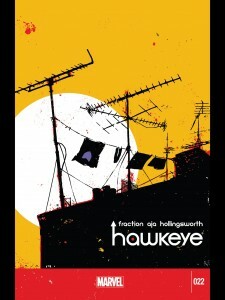 Hawkeye was the first comic book I ever read that was suggested by the Talking Comics crew. From the first page I was taken. No, Clint, it looks fantastic. Three years ago, Hawkeye started a revolution. Matt Fraction, David Aja, Matt Hollingsworth, and Stephen Wacker, along with Sana Amanat, began something at Marvel that would revolutionize the mainstream comic book medium. The at-the-time-editor, Stephen Wacker, said in the first letters page in issue #1 that Hawkeye is the “purest, crystallized Marvel Comics of 2015 distilled to its perfected form.” Hawkeye was published in 2012. Even then, the first editor new this book was a revolution. And it involved an Avenger off duty, another Hawkeye, Tracksuit Draculas, drinking directly from coffee pots, boomerang arrows, hilariously placed Hawkeye heads, Grills (sorry, Gil), and, of course, Pizza Dog. Hawkeye wasn’t just a a book, it became a culture, a phenomenon—it became the salvation to superhero comics. 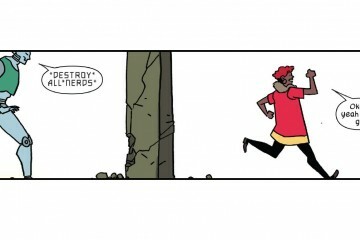 Slowly, Matt Fraction and team weaved together a complicated story out of simple elements. It is a book that has shown us that we can experience narrative through the comics medium without it falling into the normal formula. We can have an entire issue from a dog’s perspective and the book not lose it’s integrity, but gain some more. We can have an entire issue that is mostly comprised of empty word bubbles and unexplained sign language, all the while giving us a glimpse of the suffocating and heartbreakingly real miscommunication and suffering caused by disability. These books teach us about obstacles. They teach us about communication and the importance of relationships. It gives us a glimpse into the world of a dog—it gives us a glimpse into the world of the disabled, if only hazy and confusing. It gives us a glimpse into humanity, no matter how ridiculous. The truth is, I’m sad it’s over. There is always sadness when a story, especially a good and loved story, ends. Matt Fraction and David Aja’s Hawkeye has always carried with it a deep and subtle sadness, even if it’s delivered with an on the nose joke. 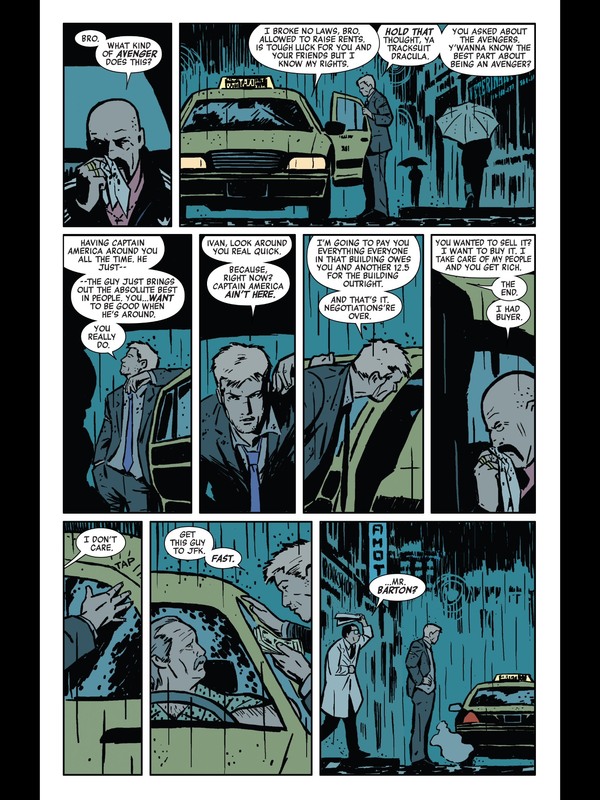 From the first issue, the first page, the first narration uttered: “This looks bad.”, we find a Hawkeye, specifically, Clint Barton who is tired, in all senses of the word, and trying to figure things out. He needs a win. “Fix. This. Dog.” he says, saving at least something of the mess he makes in the first issue. “I always screw it up and…and…” he stammers asking Kate to be his partner. He needs a relationship he can’t mess up. He needs something he can’t mess up, because whether it’s a relationship with a woman, with those he loves, or the trouble he gets himself into, he always seems to screw it up. The apartment he lives in is being slowly evicted by way of jacking up the rent prices. He’s stepped out and tried to buy the building, but it seems money isn’t enough. He stole money from thieves who were stealing from thieves. Trying to stand up for the little guys, Hawkeye awoke the terrifying anger of some very shady people, including an old man who wears those slotted glasses, an old lady with an UZI necklace, and a emotionally damaged assassin with clown-like make-up. He’s lost a friend to this war he started. He’s lost his partner, Kate, because he always screws it up—and his dog went with her. He and his brother, Barney, lost a fight, both of them suffering some major injuries, leaving Barney in a wheel chair and Clint mostly deaf. Clint Barton needs a win. And here we are. Hawkeye and the tenants of the building are holed up inside and they are going to defend it. The last stand. Unfortunately, while this book has excelled within it’s pages, time delays killed some major momentum. Being that as it may, it’s finale is strong as ever. Even more, now that every issue has been published of this specific story, these delays no longer matter. All that matters now are the contents of the pages. Which is a wonderful thing, because everything within the pages are worth the delays. While the book has a history of finding innovative ways to present a story, this final issue does not spend too much time trying to convey story in wild and outlandish ways, but presents them in an extremely cinematic nature, while still employing the fun aspects it always has. The angles of the panels are sweeping, the colors are vibrant, the action movement between panels is heart pounding. More so than any other issue, this one holds the most action than any other. 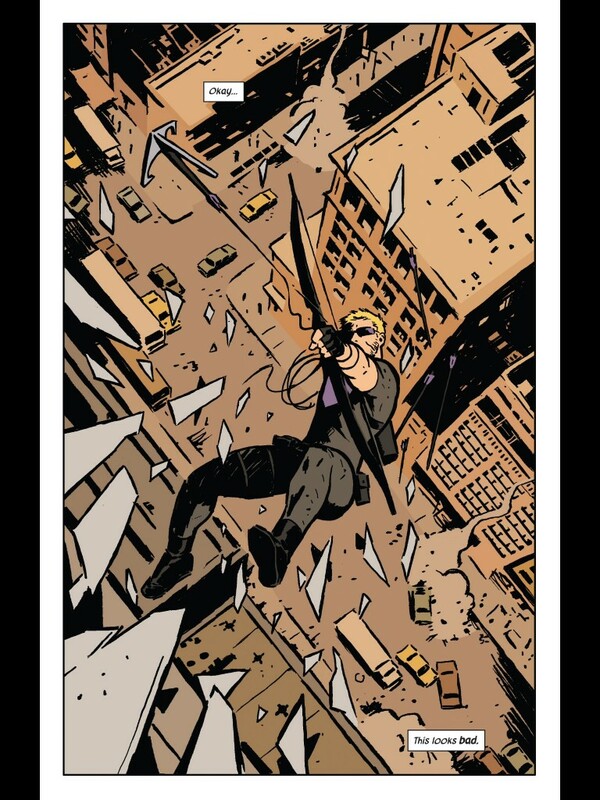 To the lover of Hawkeye, that could sound awful, but as lovers of Hawkeye, I trust that you will have faith. The truth is, Aja frames each action set piece with emotional poignancy; he crafts each blow with a haunting weight. There is anger and there is rage in each striking blow from a Hawkeye. Everyone is fighting in this issue as if they know it’s the end—as if they know it has to end here. This book could have crumbled beneath it’s hype. It could have, in a search not seem reaching, gone out with a whimper. Or, it could have, in an attempt to over-compensate, gone out with a verbose and bombastic ending that forgot the subtleties that gave the book it’s true voice. Those are the things it could have done. This is what the book did: It delivered. It somehow found that wonderful balance it always has between the elements of sadness, camp, and heart-warming relationship. It neither pushed too hard, nor pushed too little. The battle keeps you uncomfortable, while keeping you guessing on who all is safe. It ends in spectacular fashion, filling in some plot points while opening up some intriguing ones for later stories. Throughout all of the narrative, we find Clint and Kate (Hawkeyes) doing whatever they can to win. At the end, that is where we still find them. Scratching and clawing to get ahead. Look at what Clint says to Ivan (Tracksuit Draculas leader) in this page from the first issue of the run. Clint may not be a Captain America—he isn’t a boy scout; he isn’t perfect. But he’s what these villains needed. He’s what the people of his apartment building needed. 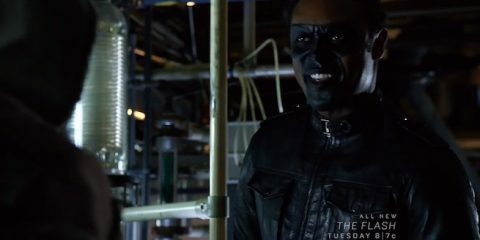 He’s what Kate needed. But, more importantly, they are all what he needed. And everyone needs a Pizza Dog. There is an air of sadness still riddled in the pages of this final issue. Mostly, that I know it’s over. 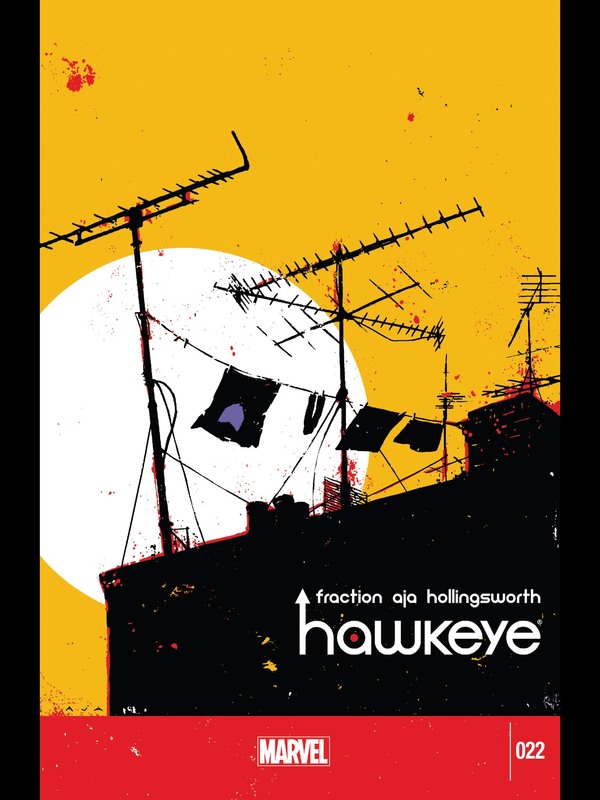 It’s over and I, most likely, will never see another Fraction, Aja, and Hollingsworth issue of Hawkeye. It’s been a wonderful and wild ride—it’s been a good ride. It’s a near perfect run. I’m actually comfortable with calling it perfect. I can’t think of anything wrong with it. This Hawkeye book, with all it’s delays and struggles to get on the shelves needed a win. If you skipped to this to find out if this issue is good or not, I understand. I’ll tell you then. This final issue is a masterpiece. If we’re ranking it, and I’m not saying we are, it’s a perfect 10 out of 10. If the delays bothered you—caused you to check out. Buy this series. Read it in it’s entirety. And then give it to someone and buy it again. Repeat.